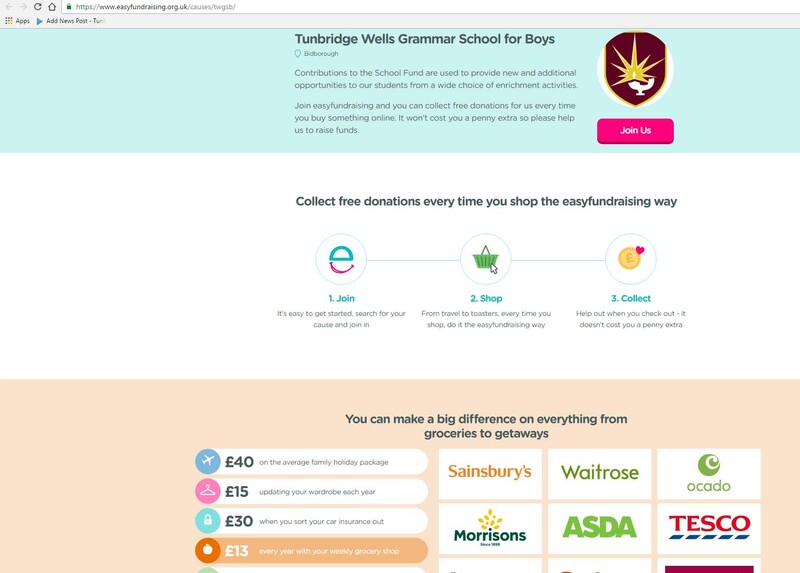 http://www.easyfundraising.org.uk/causes/twgsb for all your online shopping. Thank you to all those already using this as we have now raised over £2000 with the gift aid. There is absolutely no cost to you involved but we receive a donation from the retailer concerned.